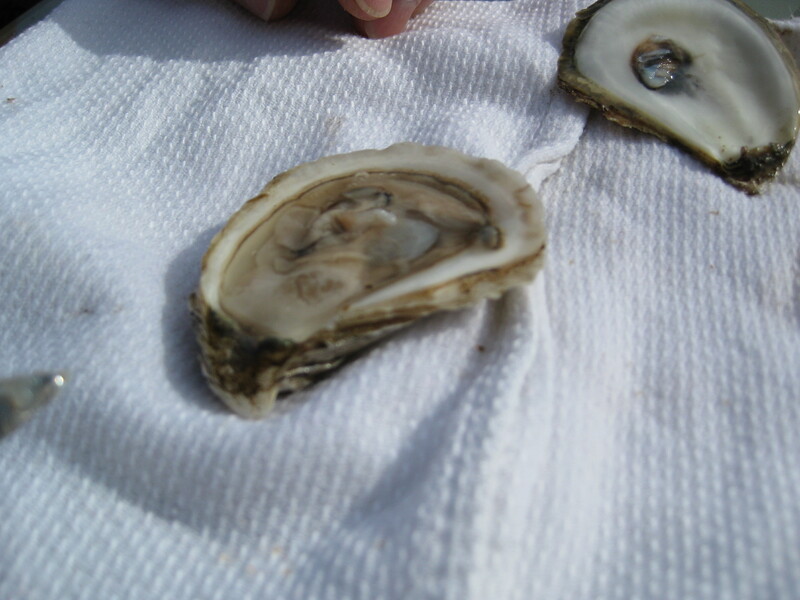 I love fresh oysters. The taste, the texture, the refreshing feeling it gives after each slurp, how it reminds me of the ocean… I love everything about them. 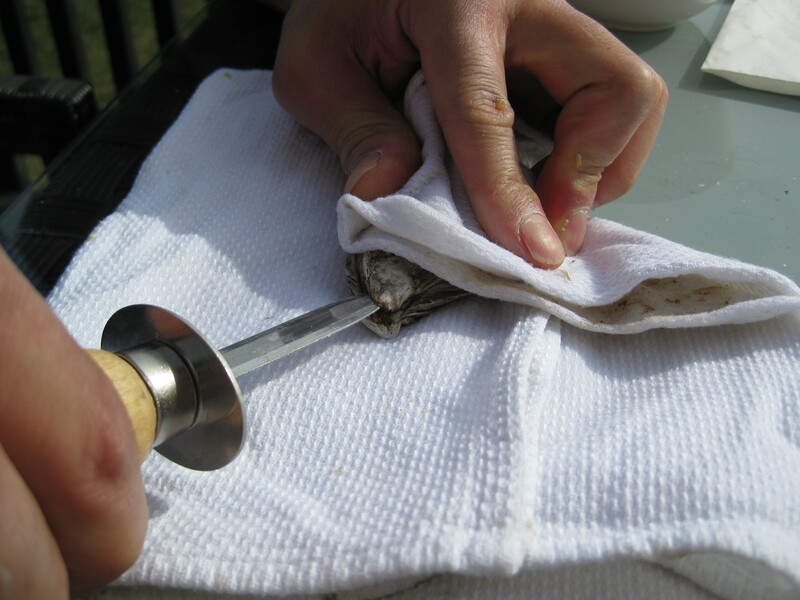 You don’t have to go to a posh restaurant and shell out big bucks to enjoy these luxurious mollusks. 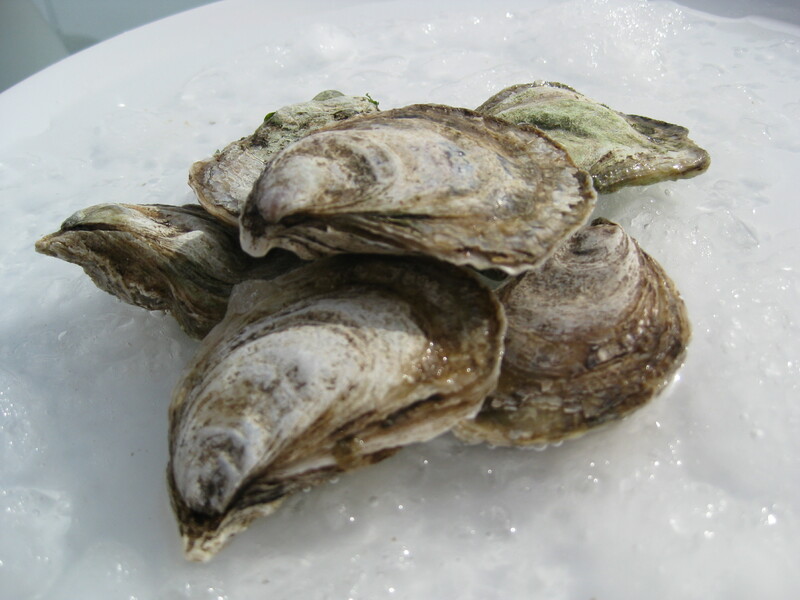 A trip to Billingsgate or Fin’s Seafood in Sherwood Park can allow to you eat like a prince (or a princess), at a pauper’s wage… well almost, Billingsgate sells for $14.99/dozen. 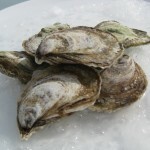 Superstore in South Common also recently started selling live seafood (selection varies daily). 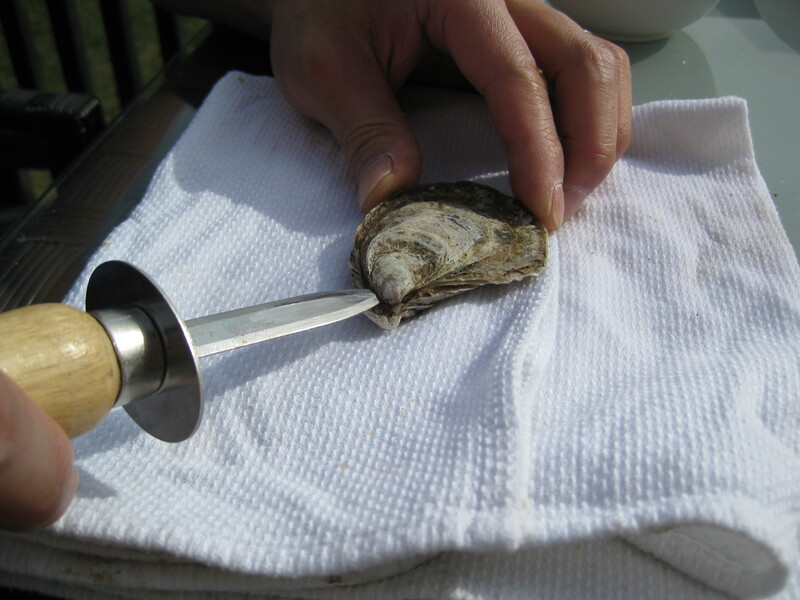 Do NOT use a knife in place of the oyster shucker, as stabbing yourself is almost inevitable! 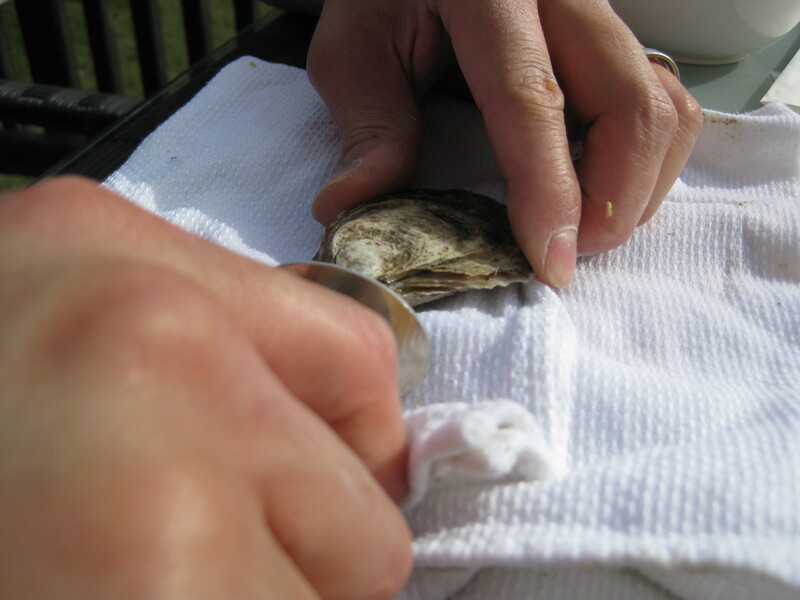 Begin by scrubbing the oysters well under water, and nestle them on a plate of crushed ice. 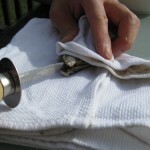 Place the oyster, bumpy side down, on a folded kitchen towel. 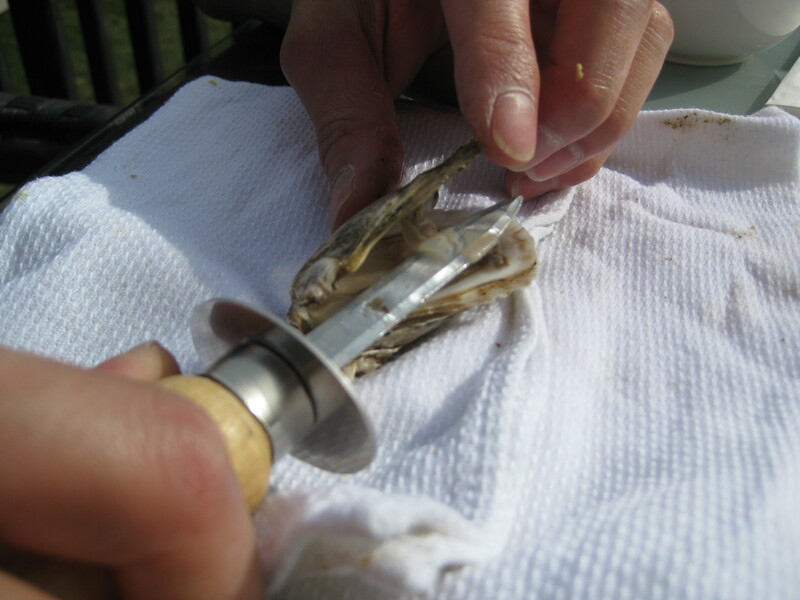 Align the top of the shucker knife to the hinge of the oyster. 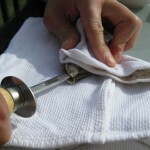 Fold towel over to secure oyster. 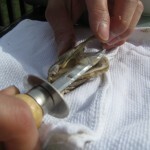 Lift up upper half of shell, scraping off any attached flesh. 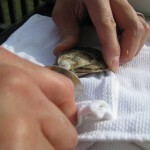 Run the knife underneath the oyster to detach the muscle. 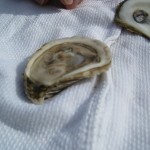 Be sure to reserve as much of the liquid, also known as oyster liquer, as possible. It’s the best part! Now you are ready to eat! 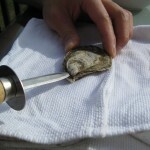 If desired, serve with a little bit of lemon juice or Tobasco sauce, otherwise fresh oysters are delicious on its own! This version is dense, rich and ever so delicious. No sour cream, no cottage cheese, just a lot of cream cheese (and a little bit of heavy cream)! 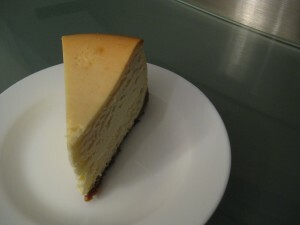 Of all the New York cheesecake recipes, this one brings me closest to the bakeries of New York. The filling is heavy but flaky at the mercy of a fork. No fancy flavorings, no lavish decorations, only plain cheesecake at its humblest. Be sure to let all ingredients, especially the cream cheese, to sit until room temperature, and stop the stand-mixer to scrape frequently will prevent lumps. I prefer to use vanilla bean paste due to the visible little specks of vanilla, however extract works just as well. Adapted from William Sonoma – New York. 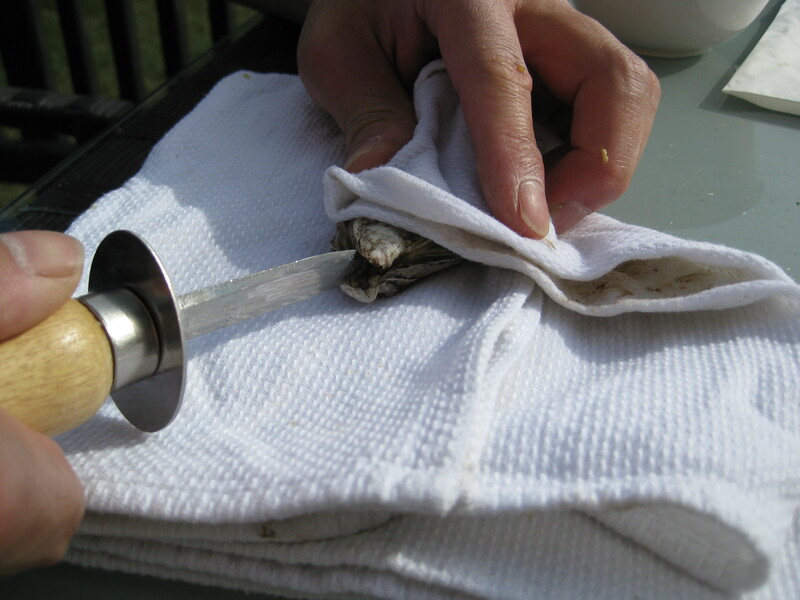 1) For the crust, preheat oven to 350°F. Generously spray or butter the bottom and sides of a 9-inch springform pan. 2) In a bowl, combine melted butter, graham cracker crumbs and sugar. Stir until crumbs are evenly moistened. Transfer crumb mixture to pan and press evenly along bottom and sides. Bake until crust is slightly dried out, about 10 minutes. Transfer to wire rack and cool completely. 3) For the filling, place cream cheese in large bowl. Using a stand mixer (or electric mixer) on high, beat until smooth, about 5 minutes. In another bowl, combine sugar and flour. Add to the cream cheese and beat until well blended, stopping frequently to scrape down sides of the bowl. Add eggs and yolk, one at a time, scraping down sides of the bowl after each addition. Add cream and vanilla and beat until combined. Pour mixture into prepared crust. 4) Bake until cheesecake is set and center is slightly jiggly, 80-90 minutes. Be careful not to overbake. Allow to cool on wire rack, cover with plastic wrap and refrigerate for at least 4 hours or up to overnight. 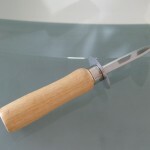 5) Using a small pairing knife, run around edges of pan before unclasping. 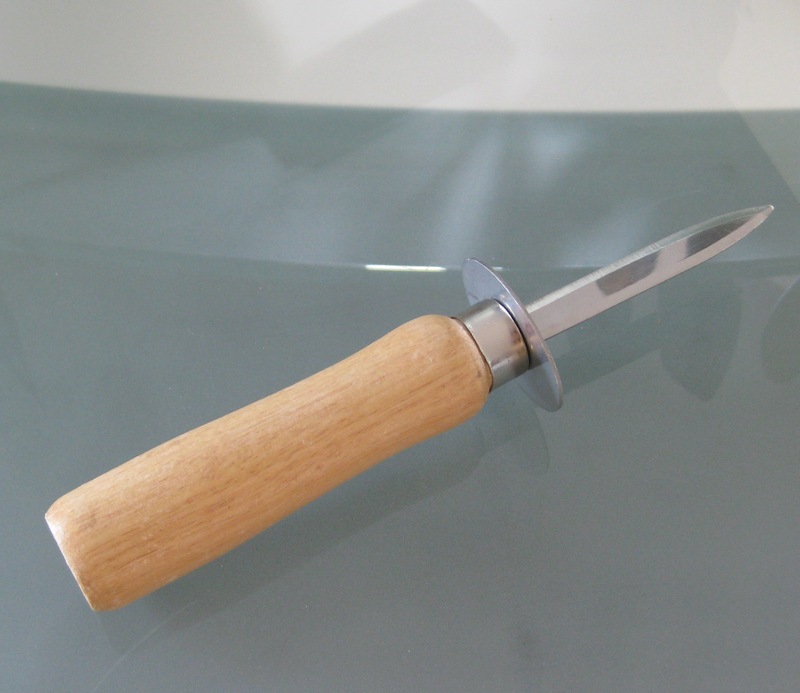 To cut the cheesecake, run a thin-bladed knife under hot water and wipe dry before each cutting into wedges. Serve chilled.